This is Van Morrison at the top of his game, delivering a set fueled with unbridled passion. 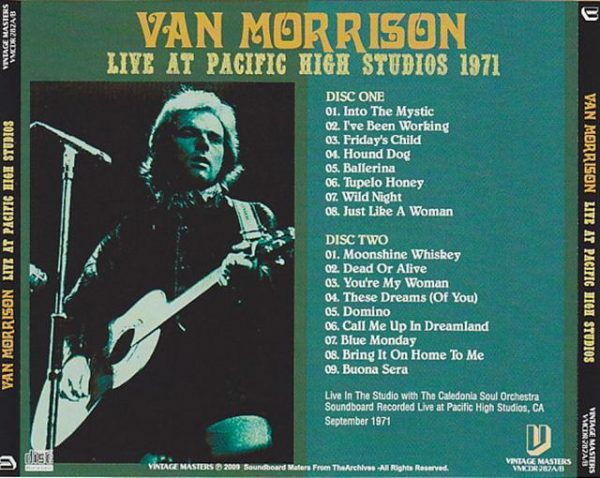 With no trace of the nervousness or anger that occasionally marred his concert performances during this era and with his sense of humor so prominent, it is no wonder that this recording has achieved such legendary status among Morrison’s fans and collectors. This provocative performance is often brilliant and is an enthralling listen from beginning to end. What may be the most passionate performance of this show comes next, as Morrison delivers a truly riveting take on Bob Dylan’s “Just Like a Woman.” This is drop-dead gorgeous with Morrison bringing a gut-wrenching intensity to the song. Morrison’s spontaneous lyric alterations of “Your long time curse hurts, but what’s worse is this queer in here, ain’t it clear” and “Please don’t let on that you knew me when I was weird and you were weird, too” bring the sexual ambiguity that Dylan only implied right to the surface. He sings this song with such tenderness that it is almost unbearable, and this stands as one of the most stunning performances of his career.